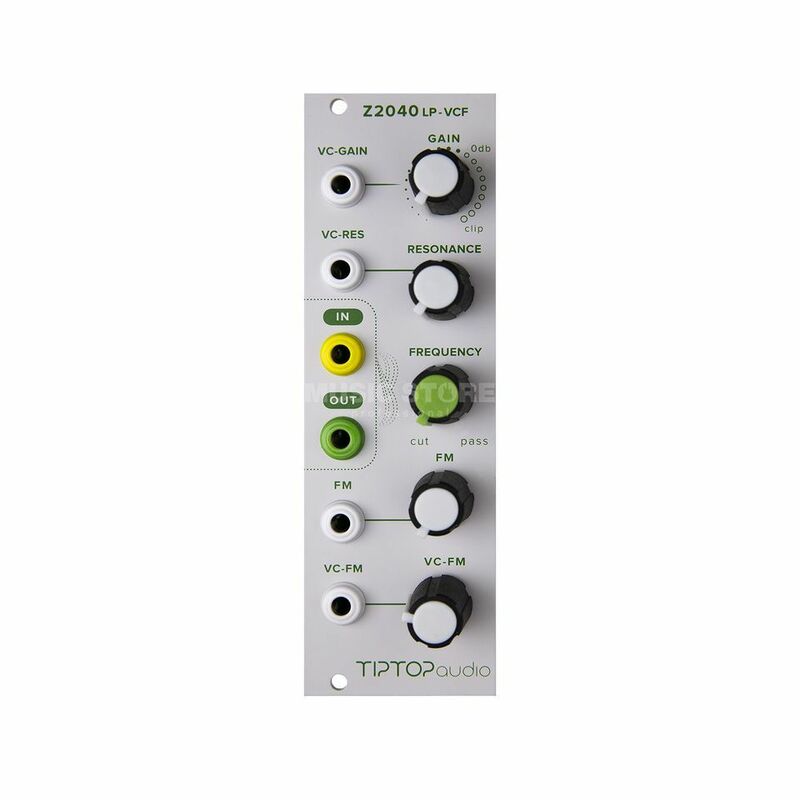 The Tiptop Audio Z2040 Modular Synth is a 4-Pole Prophet 5 VCF Eurorack Mod. Its core is very similar to the SSM2040 Filter chip found in the Prophet 5 Rev 2 synthesizer, considered by many to be among the greatest sounding filters ever made. Used in combination with envelope modules, such as the Tiptop Audio Z4000, this mod is capable of producing thick lines and leads from its fluidic sweeps. Pushed to its limits the Z2040 becomes a ferocious animal as it attempts to bring together the cascading waves and harmonics.